YAZAWA RESTURANT // CASSIC COLLECTIONS - . Hello everyone! I hope all of you had an awesome halloween last weekend. Have you all tried YAZAWA before? 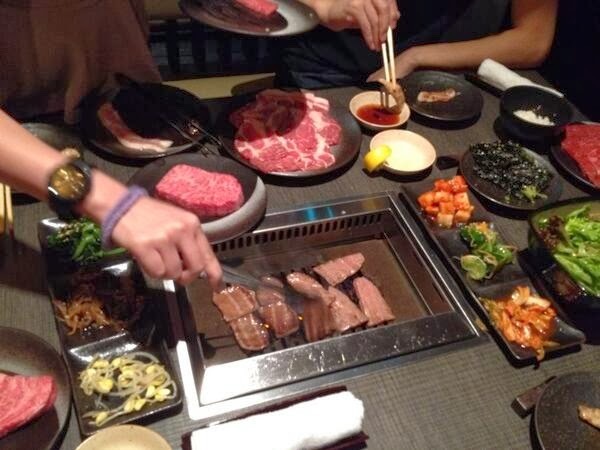 It is a korean and Japanese BBQ restaurant located at Robertson Quay. Their beef are all top quality, hence the price. Well, you pay for what you get. After movie. The men with Chrome Hearts spine. These are my pick from the current and previous photo shoot. I selected these causal yet trendy tops because i can wear them on any occasion. Check them out at www.cassiscollections.com.